You may be thinking, “Jon, that’s a bit presumptuous, how do you know my website isn’t working for me already?” Well, let me ask you, is it working for you? I look at websites all day long. It’s part of what I do. It’s not often that I see many websites working in favor of the owner. I’ve explained the process before. You really want a website to go along with your business, but you are not a web designer, so you reach out to try and find one. You do research and email the people you find online. Then you ask a friend and they recommend someone at the marketing company you work for. You trust their work, so you let them design your website, and it looks lovely! Your website launches and goes live and then . . .that’s the end of that. That, my friend is an online brochure, and nothing more than that. In order to make your website more than an online brochure, you need to be updating it constantly. You built it, you know how it works, so follow the best practice for your website. So, how do we get it to work? There are a number of factors you need. You must have a website that can produce a result. I am not talking about nonprofit charities and things like that, although they do follow along a similar pattern. I am going to assume you’re a business and you want to make a profit. So, your website has to either sell something or has to generate a sales potential lead. Think of it like a sales person– if you employed a sales rep, what would she have to do every day to earn her money to please you? She would have to go get sales, build leads, work on existing clients; and that’s exactly what your website has to do. You don’t have her doing other stuff, you don’t have her just waving to customers and answering the phone. You have her doing a specific task that will generate sales. That is what your website should be doing also. How do you do that? First — you need to get a blog. You need to be able to update the content on your website, and that is what a blog will allow you to do. Our favorite blog platform is WordPress (and that is not wordpress.com), but the self-hosted WordPress. It lets you be in complete control of everything. You host it, you choose where it goes, you look after it. It is much, much easier than you think. If you think things like, “I’m not a techy, I don’t know, I’m not interested”, honestly it’s easy — trust me! At Marketing for Owners we use Rain Maker. Look on the site, look under the tools section in the top of the menu, and you’ll see all the great tools listed there that we use on our site. Rainmaker is our platform, but we know how to set everything up. We want it to be easy, we want to spend our time marketing instead of having to build a website. Please consider replacing your website with a good platform, and make sure that you’ve got good pictures and good content. I know how easy it can be to get this part of your business process completed. I can show you exactly what we did to set up this site. I run a number of companies and we have websites for each one. Do you think I write all the copy for each of those sites? I don’t have time for that. It’s the same for yourself. You just need assistance and you just need to know what to do. I can show you. Keep following the podcast, we’ll talk about this a lot, and soon I will be creating a free course that will even go into more depth on building your brand and your business. Keep a look out for it. This week I want to tell you about a fun Australian guy called Timbo Reid. 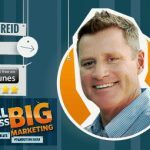 Tim Reid runs a podcast called, “Small Business, Big Marketing“. It’s generally an hour long show, and it’s like a radio show. Tim is fun and he’s great. He shares a lot of business knowledge. I listen to a lot of podcasts that are over an hour long, and I listen to them because they’ve got good information. Sometimes those podcast presents can drone on a bit making it boring, Tim makes it fun, and I really enjoy listening to him. His introduction takes the first 5 to 10 minutes of the podcast. Give it a try. It is the number 1 marketing show in Australia, so he says himself, but I don’t doubt it. 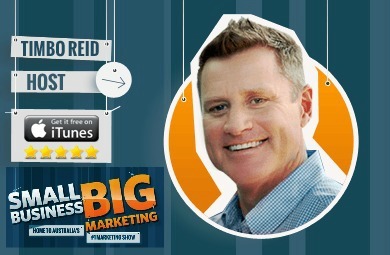 “Small Business, Big Marketing”, Timbo Reid. Check it out. You will really enjoy it. 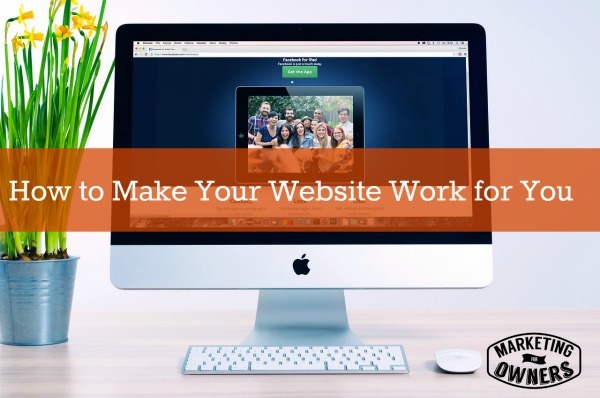 What are you going to do to make your website work for you?